A classification of devices incorporated into flexible AC transmission systems (FACTS) in electric networks is presented. 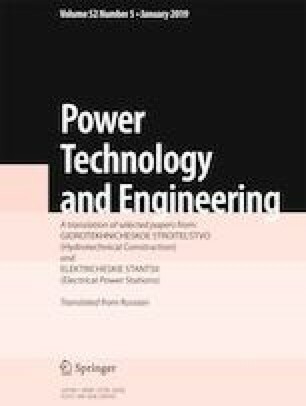 The characteristics of flexible AC transmission systems are considered, in particular: devices for compensation (regulation) of reactive power and voltage connected to networks in parallel; devices for compensation (regulation) of the network parameters (network resistance) connected to networks in series; devices that combine the functions of the two groups, i.e., direct-transverse connected devices; devices for storage of electric energy; and converters of the type of current (AC into DC and DC AC); and lines of a new generation of electric transmission lines with increased carrying capacity in combination with FACTS devices. Translated from Élektricheskie Stantsii, No. 9, September 2018, pp. 30 – 36.